There's this rather spooky thing that happens to me. Maybe it happens to other people as well, but nobody has ever mentioned it to me. I have an innovative idea, and almost as soon as I voice it to anyone, someone else comes along and does it. When I was younger, I quickly stopped telling anyone about my ideas, thinking that the people I was telling them to were passing them on. However, I quickly reached an age where the likelihood that the person implementing my ideas had any contact with the person I told was inversely proportional to the physical distance between the person implementing the idea and myself. Moreover, the only person I say these things to now is my husband,, and I'm sure he isn't telling anyone. Sometimes I'm not even sure he really listened, so how could he repeat what his brain never took in? Then I reflect on God moving in mysterious ways. What's wrong with me now is physical. I don't have the energy or physical strength to implement most of my ideas. 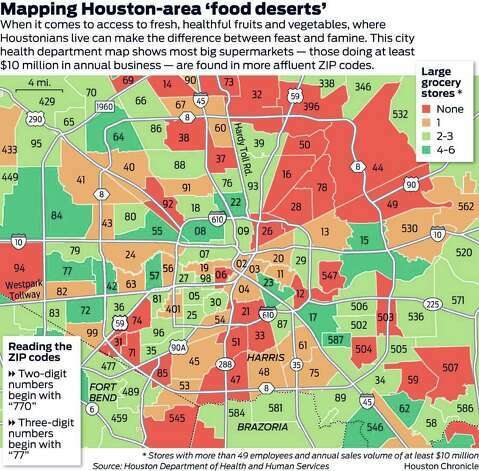 The latest idea I had, some months ago, concerned the "urban food deserts" in Houston. These are areas in which access to fresh produce is limited or non-existent. Residents reliant on bus services to get about, particularly the disabled and elderly, are hard pressed to make the journey to the stores which offer good fresh produce.m I said "What if some grocery store had a big truck that could roll up to a community center or deserted strip center, drop its sides and offer fres\h produce?" Now, while it's not a grocery store doing it (yet) Houston's Recipe for Success, founded in 2005 by Grace and Bob Cavnar to provide nutrition education, fight childhood obesity, and encourage long term health has instituted exactly such a program and hopes to be serving up fresh produce by the end of the year. Perhaps my speaking about my ideas, putting them into the Ether, or Cosmos, are directed by God to the hearts of those with the energy and strength to implement them? Maybe it's a coincidence, but it has happened so often, that the statistician in me has to wonder why coincidences with a small probability keep happening over and over. Could it be that this is a form of prayer? Perhaps many were trying to come up with a way to get good food to the people in these under-served areas, and my thought went into God's inbox, and God looked around and said "Gracie! Bob! Listen up...here's your next task in the pursuit of your goal!" I don't know, but I am thrilled that the idea is going forward and wish to support it every way I can. They need money, kitchen items for their cooking classes. They take donations but are also selling a cookbook aimed at kids with healthy recipes. along with T-Shirts, hats, and other items. They have a wish list, and I happen to have Bed Bath & Beyond coupons available that I won't use. So if you are moved to give them a gift, contact me by the form on my coupons page or message me on FB. I'll get them to you one way or another.